Wasn't a rejuve. See the replies to your previous thread on this topic. You need to stop telling other people what to say or do. If you want to argue the point, feel free. 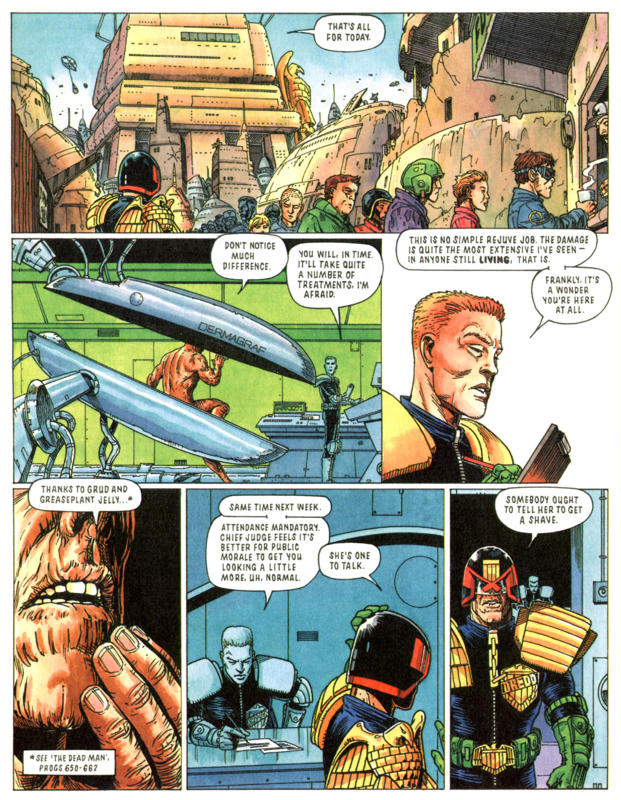 I linked to my reasoning above and backed it up with references. 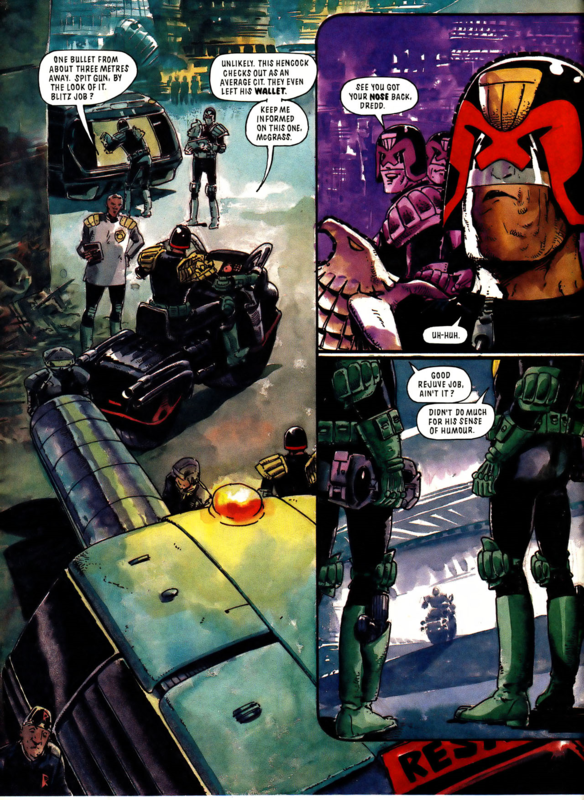 None of this matters, since Carousel (Meg 375) was definitely a rejuve, but the best argument Dredd didn't have a rejuve until Carousel is that he didn't look any younger and went on moaning about getting old. topic=44013.msg940646#msg940646]above[/url] and backed it up with references. 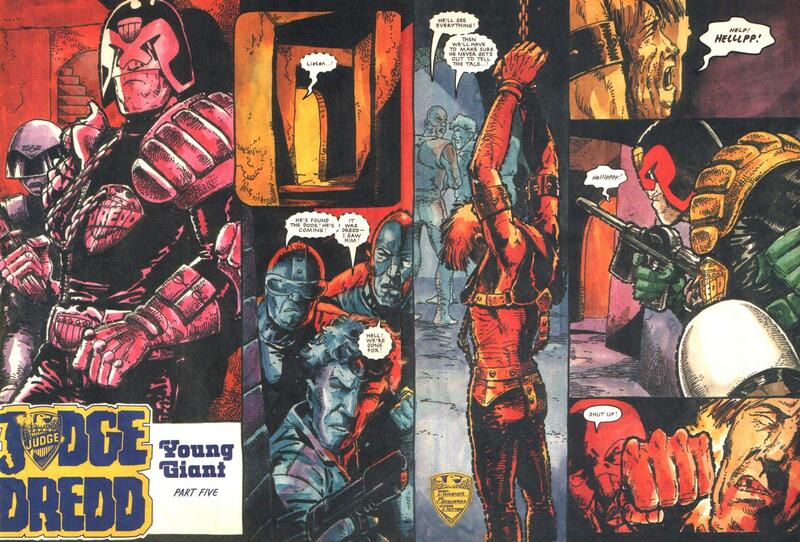 Young Giant (655), the last time Dredd creator Carlos Ezquerra drew the character prior to Necropolis (link). 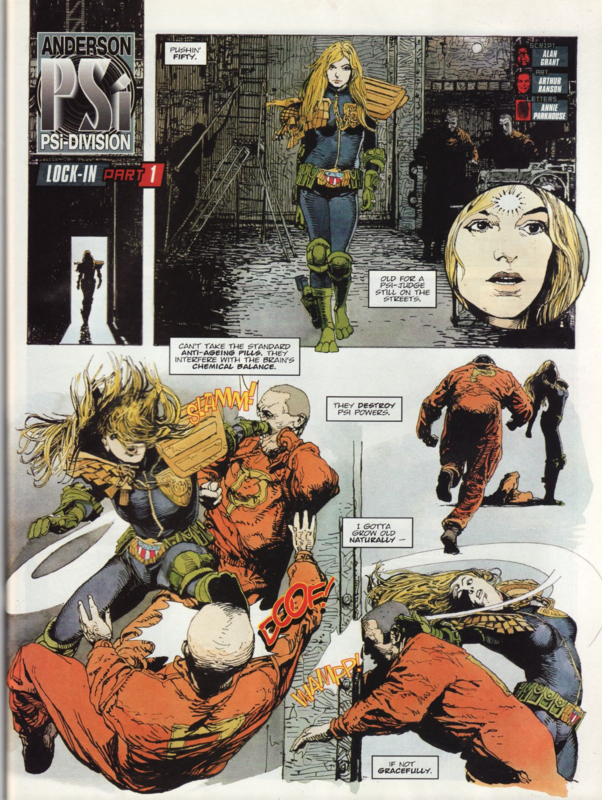 Death Aid (711), the first time Dredd creator Carlos Ezquerra drew the character after Necropolis (link). Look the same. 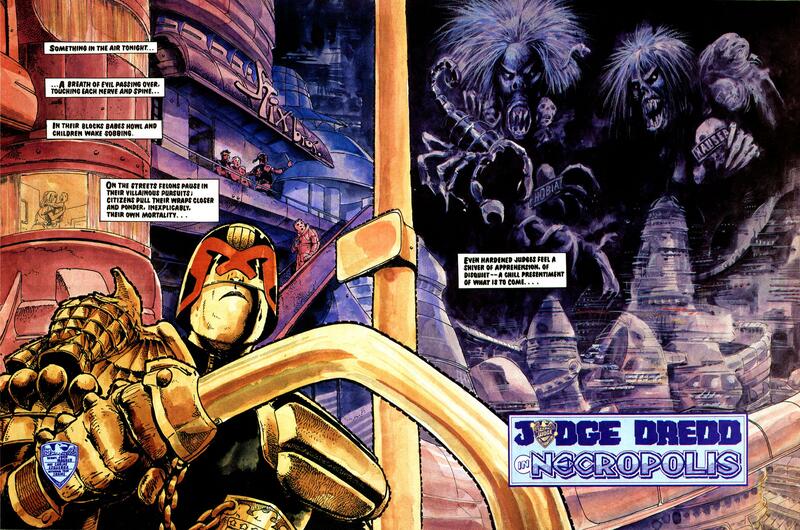 Here's a picture of what Dredd creator Carlos Ezquerra thought a twenty year old Dredd looked like (Kraken, 674). Looks different*.